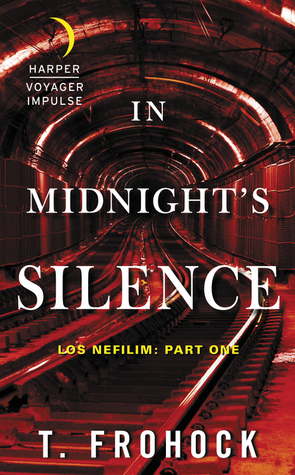 In Midnight’s Silence is the first book in the series of Los Nefilim novellas by T. Frohock. The second book in the series, Without Light or Guide, is scheduled for release on November 3 with the third, The Second Death, planned for March 2016. 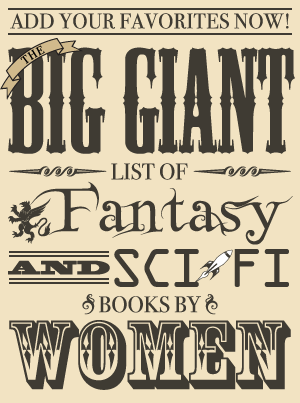 These are only available in ebook, and although I very much prefer print and rarely read books unavailable in that format, I made an exception for this one since I loved the author’s debut novel, the dark and unique fantasy Miserere: An Autumn Tale. While I preferred Miserere to this novella, I did think it was an intriguing beginning to a series and am eager to read more in the next book. Diago, the only Nefil with the magic of both angels and daimons, has not sworn allegiance to either side even though both wish for him to serve them. His partner, Miquel, is on the side of angels and belongs to Los Nefilim, an organization that keeps an eye on demonic activity for them. When they order Miquel to move to Barcelona, Diago follows and while he’s not happy there, he thinks he made the right choice—life without Miquel would be even worse. Diago follows the clues to Miquel’s captor and finds an angel, who has Miquel, a six-year-old boy he claims is Diago’s son, and a terrible demand for Diago—sacrifice the child to the daimon Moloch or watch Miquel die. In Midnight’s Silence is dark without being overly grim and depressing, and like Miserere, it stands out as being different despite having a mythology based on angels and demons, largely because the angels and daimons do not clearly correspond to good and evil. Diago is very compelling, and though most of the focus in this fairly short book remained on him some of the characters who showed up closer to the end are compelling as well. It’s a quick, enjoyable read that seems to be setting the foundation for the rest of the series but also tells a complete story without major cliffhangers. Magic is rooted in music, and In Midnight’s Silence offers an intriguing glimpse into the world of angels and daimons. As is usually the case, the angels and daimons are enemies; however, while the daimon Moloch at least is suitably fiendish, the angels encountered look the part but certainly do not act the part. Unlike Moloch, the angel who took Miquel captive does not seem to delight in suffering—he believes the ends justifies the means when he can trade a single boy for an item that will save many lives—but he still threatens to kill a man if another man won’t sacrifice an innocent child. The main protagonist, Diago, is imperfect and complex. He’s made some rather grievous errors in the past but now seems to strive to do what is right, though he doesn’t always succeed. He’s proud and stubborn but also courageous, caring, and loyal, and the latter can cause him to do what he knows to be wrong when someone he loves is in danger—though there are also certain lines he won’t cross. In past book reviews, I’ve discussed how it bothers me when characters are faced with tough choices that are then either removed or neatly resolved with very few consequences; this book is the antithesis of that. In Midnight’s Silence is very much about Diago’s choices and how he handles situations with only bad options, and there are results that will haunt him regardless of whether they’re actually his fault or not. Although I rather liked this novella as a whole, I did find some earlier parts a bit slow, especially Diago’s search for Miquel. As a fairly short book, this didn’t last long, but I did enjoy later parts of the story much more, especially once more of the members of Los Nefilim were introduced. That aside, In Midnight’s Silence is an intriguing first installment in a series that completely succeeded in making me want to read more about the world and characters. It appears there are more layers to both, and I’m definitely curious about finding out what’s next for Diago in Without Light or Guide! Where I got my reading copy: From the author.